January, “The Big Four: Live From Sofia, Bulgaria” DVD and Blu-ray is certified multi-platinum in the U.S.
April, The “Big Four” perform for the first time ever in the United States the Empire Polo Club in Indio, California, drawing an estimated 55,000 people. June, The paperback edition of Dave Mustaine’s autobiography, “Mustaine: A Life In Metal” is released in the U.K.
July, The “Big Four” play six dates across U.K. and Europe. July, Megadeth’s platinum-certified, “Peace Sells… But Whoâ€™s Buying?” is released in a commemorative 25th Anniversary deluxe 5Disc+3LP box set. August, The paperback edition of Dave Mustaine’s autobiography, “Mustaine: A Heavy Metal Memoir” is released in the U.S.
September, The new single, “Public Enemy No. 1” from Megadeth’s forthcoming album “TH1RT3EN” is available for streaming at Megadeth.com. September, The “Big Four” play their second-ever U.S. show at the new Yankee Stadium in New York City. February, Original bassist David Ellefson returns to Megadeth, replacing James LoMenzo. February, Megadeth shoot a video for “The Right To Go Insane,” the second single from the Endgame album. is filed for upcoming DVD release. April/May, The “Rust In Peace 20th Anniversary Tour” continues in South and Central America. for the first time in Poland and continue to share the stage in Europe throughout the month. August, Dave Mustaine’s autobiography “Mustaine: A Heavy Metal Memoir” is released in North America. Book tour coincides with first leg of “American Carmage” tour. August, 20 years after the original “Clash Of The Titans” tour, Megadeth tours again with Slayer and Testament for the “American Carnage” tour. September, Megadeth continues to tour with Slayer and special guests Anthrax on the “Jagermeister” tour. December, Megadeth’s “Sudden Death” is nominated for a Grammy in the Best Metal Performance category. December, Megadeth headlines six festival shows in New Zealand and Australia as part of the “No Sleep Til” festival tour. January, Megadeth continues the recording of their 12th studio album with Andy Sneap returning as producer. February, Megadeth joins Testament as openers for Judas Priest on the “Priest Feast” European tour. April, Megadeth headlines the Epiphone Revolver Golden Gods Awards, where Dave is presented with the Golden God Award. June, Megadeth and Slayer team up for Canadian Carnage, a mini-tour of Western Canada. June, “Head Crusher”, the first single from Megadeth’s new album, is released. The song is debuted live on the Canadian Carnage tour. 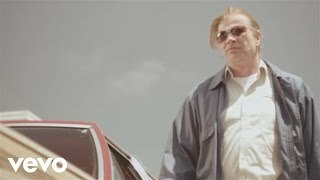 July, The video for “Head Crusher” is shot in Los Angeles, CA. September, Megadeth’s 12th studio album, Endgame is released, debuts at #9 on the Billboard chart. October, Megadeth kicks off the ‘Endgame Tour’ in Australia and New Zealand co-headlining with Slayer. November, ‘Endgame Tour’ continues in the U.S. Megadeth headlines with Machine Head, Suicide Silence, Arcanium and Warbringer. December, Megadeth’s “Head Crusher” is nominated for a Grammy in the Best Metal Performance category. January, Chris Broderick (Jag Panzer, Nevermore) replaces Glen Drover on guitar. the U.K. with Job For A Cowboy and Evile. March, Megadeth plays India for the first time, headlining the ‘Rock In India’ festival. April, Gigantour 2 is released on CD and DVD, highlighting the 2006 tour. Job For A Cowboy and High On Fire. Venezuela, Chile, Peru, Ecuador and ending in Mexico in June. July, Dave Mustaine has new recording studio “Vic’s Garage” built in Southern California to record the next Megadeth album. July, Megadeth performs live at the Mixed Martial Arts event, “Affliction Banned”. September, Megadeth Greatest Hits double disc “Anthology: Set The World Afire” is released. 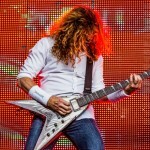 January, Dave Mustaine signs with Dean Guitars, debuts his new VMNT guitar at the NAMM Convention. March, Megadeth opens for a reunited Black Sabbath (Heaven And Hell) on their Canadian tour. March, That One Night: Live In Buenos Aires, filmed in Buenos Aires, is released on DVD. The 2CD set follows in October. April, The ‘Heaven And Hell’ tour continues in the U.S.
“A Tout Le Monde” (featuring Christina Scabbia) and “Never Walk Alone” is released, debuts at #8 on U.S. charts. June, Megadeth’s ‘Tour of Duty’ begins in Europe with summer festivals and headline shows. September, ‘Tour of Duty’ continues in the U.S. and Pacific Rim. October, Megadeth release Warchest, a 4CD/1DVD career-spanning box set. November, ‘Gigantour 2007’ kicks off in Australia with Static X, Devildriver, Lacuna Coil and Bring Me the Horizon. March, the two-disc DVD anthology Arsenal of Megadeth is released. March, James LoMenzo (Black Label Society) replaces James MacDonough on bass. 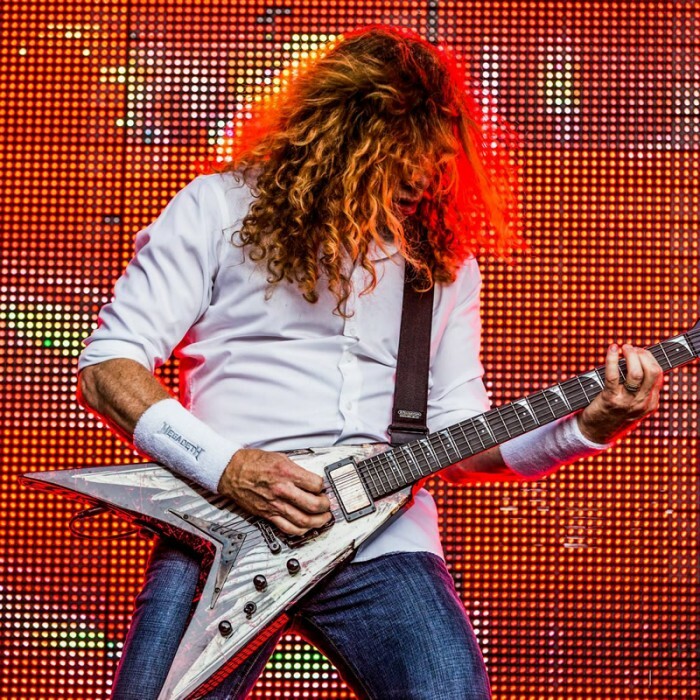 March, Megadeth headlines the United Arab Emirates’ Dubai Desert Rock Festival. April, Megadeth begins recording a new album at SARM recording studios in England. 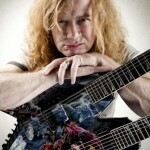 May, Megadeth signs with Roadrunner Records. July, Megadeth plays Spain’s Metalway Festival in Gernika and Jerez. August, Gigantour’s inaugural festival tour is released on 2-CD and 2-DVD sets. Opeth, Arch Enemy, Overkill, Into Eternity, Sanctity and the Smashup. mini-concert at Six Flags theme park in Springfield, MA. December, Dave Mustaine announces his departure from ESP guitars. Bulgaria for the first time. June, Greatest Hits: Back To The Start is released. Kill Logic and Bobaflex. Footage is shot for an upcoming CD and DVD. Buenos Aires, Argentina. The show is filmed for a live album/DVD. July, Megadeth’s back catalog is re-mixed and re-mastered with bonus tracks! opening. New drummer, Shawn Drover joins the band the week before. presented in Dolby 5.1 surround. March, the double live album Rude Awakening is released. him unable to play guitar. September, Still Alive..And Well? is released. March, Dave Mustaine and Al Pitrelli begin a world press tour for the new album. April, Megadeth shoots the video for Moto Psycho. 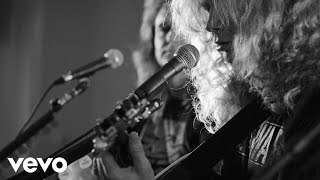 April/May, Megadeth begins a short U.S. acoustic tour sponsored by local radio stations. May, The World Needs A Hero is released by Sanctuary. September, Megadeth tours North America with Endo and Iced Earth. October, Megadeth’s VH1 Behind The Music special is released on DVD. January, Al Pitrelli joins Megadeth mid-tour. April, the band starts work on its 10th release. June, Megadeth plays the ‘Maximum Rock’ festival with Anthrax and Motley Crue. July, Megadeth leaves Capitol Records. November, Megadeth signs with Sanctuary Records. The band returns to the studio in LA to finish recording their new album. follow up to Cryptic Writings. Megadeth spends the summer playing festivals, including Woodstock ’99. eventually makes its way into NHL arenas and WCW. Risk is released on August 31, 1999. September, Megadeth opens for Iron Maiden on European tour. December, Marty Friedman announces departure from Megadeth. January 28th, Dave Mustaine’s daughter, Electra, is born. January, “Trust” nominated for a Grammy. January, Megadeth performs on The Howard Stern Show. July, Megadeth takes part in “Ozzfest ’98”. October 23rd, David Ellefson’s daughter Athena is born. New Year’s Eve, Megadeth opens for Black Sabbath along with Soulfly, Slayer and Pantera. June, The Misfits open for Megadeth on summer U.S. tour. June, Chaos Comics release The Cryptic Writings of Megadeth comic books. December, Megadeth plays its first all-acoustic show in South America. Dave Mustaine collaborates with Lee Ving of Fear on MD.45, The Craving. David Ellefson’s son, Roman Alexander, is born. September, Megadeth begins recording new album in Nashville, TN. January, “99 Ways To Die” nominated for a Grammy. March, Megadeth releases Hidden Treasures compilation in Europe. May, Evolver: The Making of Youthanasia video is released. July, Megadeth releases Hidden Treasures compilation in USA and Japan. Ozzy Osbourne and Alice Cooper. January, “Angry Again” nominated for a Grammy. Halloween, New website Megadeth Arizona is launched. November, Megadeth kicks off the Youthanasia tour in South America. Dave Mustaine makes a guest appearance on Diamond Head’s Death and Progress album. January, Countdown To Extinction album nominated for a Grammy. with Japanese dates in May. June, Megadeth plays Milton Keynes Bowl with Diamond Head and Metallica. June Megadeth opens for Iron Maiden and Metallica on their European tour. June, Megadeth’s “Angry Again” featured on Last Action Hero soundtrack. dates; Jackyl takes their place. January, “Hangar 18” nominated for a Grammy. February, Dave Mustaine’s son, Justis, is born. 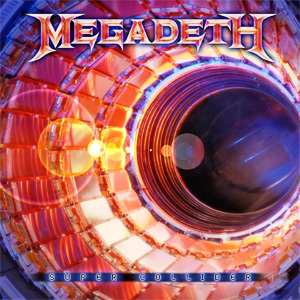 May, Megadeth’s “Breakpoint” featured on Super Mario Bros Soundtrack. July, Megadeth releases Countdown to Extinction. July, Dave Mustaine covers Democratic National Convention for MTV. November, Exposure of a Dream home video is released. January, Megadeth plays to 140,000 people at the Rock In Rio II festival in Brazil. January, Rust In Peace album nominated for a Grammy. March, Megadeth’s world tour beings, with The Almighty and Alice In Chains opening. March, Dave Mustaine gets married to Pamela Anne Casselberry. 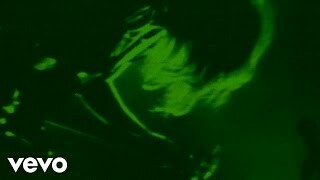 April, Rusted Pieces home video is released. July, Megadeth’s “Go to Hell” featured on Bill & Ted’s Bogus Journey Soundtrack. February, Marty Friedman is hired as Megadeth’s lead guitarist. October, Megadeth releases Rust in Peace. October, Megadeth opens for Judas Priest in support of their new album Painkiller. July, Nick Menza is hired as Megadeth’s new drummer. Megadeth covers Alice Cooper’s “No More Mr. Nice Guy” for Wes Craven’s Shocker Soundtrack, their only song recorded as a three-piece band. Mustaine is arrested for impaired driving, forced to clean up in 12-step program. 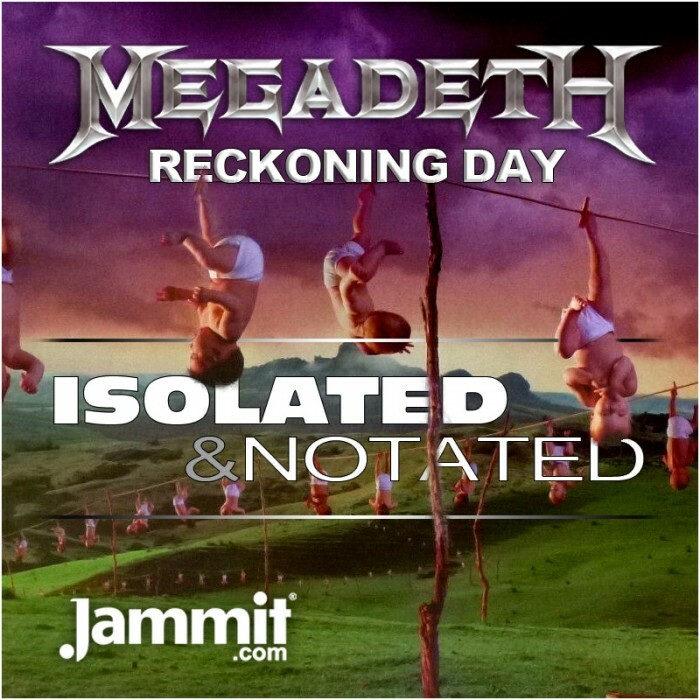 January, Megadeth releases So Far, So Good… So What! Megadeth opens for Dio on North American tour. June, Megadeth opens for Iron Maiden on their “Seventh Son” tour. Young and Chuck Behler are fired soon after. Dave Mustaine produces Sanctuary’s debut album Refuge Denied. February, Megadeth opens for Alice Cooper’s “Constrictor” tour. March, Megadeth’s first world tour begins in the UK. Dave and David appear on Malice’s License To Kill album. Megadeth re-record “These Boots” for the Dudes soundtrack. May-June, Megadeth tours the U.S. with Overkill and Necros. Chris Poland and Gar Samuelson are fired after last show of tour in Hawaii. Gar’s drum tech Chuck Behler is hired as Megadeth’s new drummer. Jay Reynolds of Malice leads Megadeth to their new guitarist, Jeff Young. Capitol Records signs Megadeth, gets rights to Peace Sells… but Who’s Buying? from Combat. Megadeth opens for King Diamond and Motorhead in the U.S.
September, Cliff Burton dies in bus accident. November, Megadeth releases Peace Sells… But Who’s Buying?. May, Megadeth releases Killing Is My Business… And Business Is Good! October, Chris Poland rejoins band. October, Megadeth begins recording new album, Peace Sells… But Who’s Buying? for Combat Records. Megadeth record 3-song demo with drummer Lee Raush. Kerry King assists Megadeth at live shows and then returns to Slayer. Lee Rausch is replaced by Gar Samuelson. November, Megadeth is signed to Combat records. December, Megadeth plays its first New York shows with Slayer. March, Cliff Burton’s first gig with Metallica. April, Dave Mustaine is fired from Metallica, Kirk Hammet leaves Exodus to replace him. Metallica’s first album, Kill ‘Em All, is released. December 31st, Mustaine becomes Megadeth’s singer. Lars Ulrich and James Hetfield form Metallica. Dave Mustaine leaves Panic and joins Metallica. Ron McGovney is hired as Metallica’s bassist. March, Metallica’s first gig at Radio City in Anaheim. March, Metallica opens for Saxon on their “Denim and Leather” tour. leaves band after one gig, Metallica’s only day as a five-piece band. May, James Hetfield takes up rhythm guitar in addition to vocals. June, “Hit the Lights” is included on Metal Massacre compilation. Rare demo album No Life ’til Leather is released. December, Cliff Burton leaves Trauma to replace Ron McGovney. 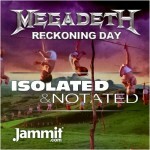 Megadeth’s ‘Reckoning Day’ Now On Jammit!